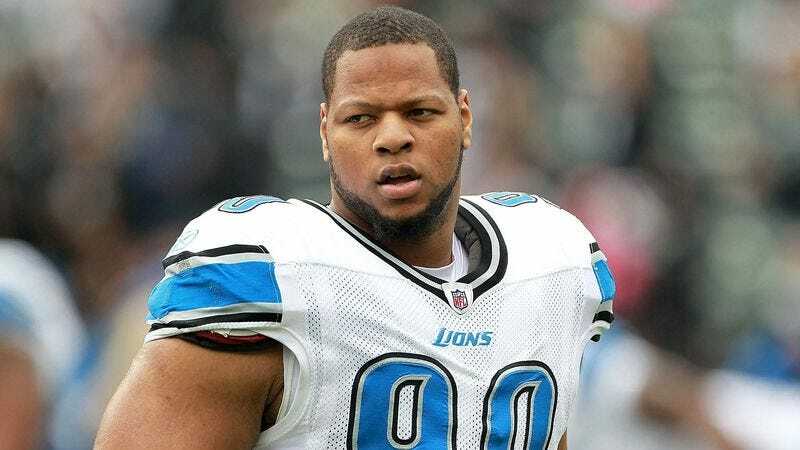 NEW YORK—In what it is calling "the only fitting way" to end a season marked by continual unsportsmanlike conduct and accompanying disciplinary action, the NFL announced Friday it had fined Ndamukong Suh an additional $75,000 just to finish things off. "For some reason, it seemed wrong to let the year end without levying one more fine," said Commissioner Roger Goodell, adding that the season now feels "officially complete." "This way, we put a nice cap on things and can start fining and suspending afresh next year." After meeting with Goodell, Suh told reporters he thought the fine was "ridiculous and unfair," but agreed it did sort put a nice button on the season.